The anti-Jewish violence in Poland from 1944–1946 refers to a series of violent incidents in Poland that immediately followed the end of World War II in Europe and influenced the postwar history of the Jews as well as Polish-Jewish relations. The exact number of Jewish victims is a subject of debate with 327 documented cases, and the range, estimated by different writers, from 1,000 to 2,000 (an undocumented minority view). Jews constituted between 2% and 3% of the total number of victims of postwar violence in the country, including the Polish Jews who managed to survive the Holocaust on territories of Poland annexed by the Soviet Union. The incidents ranged from individual attacks to pogroms. Jewish emigration from Poland surged partly as a result of this violence, but also because Poland was the only Eastern Bloc country to allow free Jewish emigration (aliyah) to Mandate Palestine. Many Jews did not wish to remain where their previously large communities in Poland had been decimated by the German occupation; many fled Soviet-backed communism which persecuted the bourgeoisie and religion, including Judaism; many aimed to pursue the Zionist objectives in Palestine. Uninterrupted traffic across the Polish borders intensified with many Jews passing through on their way west. In January 1946, there were 86,000 survivors registered with the Central Committee of Polish Jews (CKŻP). By the end of summer, the number had risen to about 205,000–210,000 (with 240,000 registrations and over 30,000 duplicates). About 180,000 Jewish refugees came from the Soviet Union after the repatriation agreement. Most left without visas or exit permits thanks to a decree of General Marian Spychalski. A group of 435 Jews returned from Palestine to Poland in 1946, believing that the latter was actually safer, wrote Gazeta Ludowa of the Polish People's Party (PSL) on October 1, 1946. By the spring of 1947 only 90,000 Jews resided in Poland. Reasons for violent deaths have been attributed to usually indiscriminate postwar lawlessness as well as the raging anti-communist insurrection against the new pro-Soviet government, which cost the lives of tens of thousand of people. Among the Jewish victims of violence were numerous functionaries of the new Stalinist regime, assassinated by the anti-communist underground without racial motives, but simply due to their political loyalties. Jan T. Gross noted that "only a fraction of [the Jewish] deaths could be attributed to anti-semitism", and Jewish resistance fighter Marek Edelman said: "murdering Jews was pure banditry, and I wouldn't explain it as anti-Semitism". But sometimes Jews were targeted due to their ethnicity, because of the pre-war and Nazi German propaganda, including the blood libel rumors. The resentment towards returning Jews among some local Poles included concerns that they would reclaim their property. They were sometimes seen as supporting the consolidation of power in the hands of the Soviet and Polish Stalinist regimes. After the war, Poles and Jews constituted two communities with two different but tragic war experiences, however the relations between Polish and Jewish communities worsened after the Soviet takeover of Poland in 1945. Polish Jewish survivors of the Nazi Holocaust returning home were confronted with fears of being physically assaulted, robbed and even murdered by certain elements in the society. The situation was further complicated by the fact that there were more Jewish survivors returning from the Soviet Union than those who managed to survive in occupied Poland, thus leading to stereotypes holding Jews responsible for the imposition of Communism in Stalinist Poland. Members of the former Communist Party of Poland (KPP) were returning home from the Soviet Union as prominent functionaries of the new regime. Among them was a highly visible number of Poles of Jewish origin, who became active in the new Polish United Workers' Party and the Ministry of Public Security of Poland, among them Hilary Minc, the third in command in Bolesław Bierut's political apparatus and Jakub Berman, head of State Security Services (UB, Urząd Bezpieczeństwa) considered Joseph Stalin's right hand in Poland between 1944 and 1953. Jewish representation in Bolesław Bierut's apparatus of political oppression was considerably higher than their share in the general Polish population. Hypothesis emerged that Stalin had intentionally employed some of them in positions of repressive authority (see Gen. Roman Romkowski, Dir. Anatol Fejgin and others) in order to put Poles and Jews "on a collision course." Study by the Polish Institute of National Remembrance showed that between 1944 and 1954 out of 450 people in director positions in the Ministry, 37.1% (or 167) were Jewish. The underground anti-communist press held them responsible for the murder of Polish opponents of the new regime. Historian Marek Jan Chodakiewicz estimates that in the first years after the war, the Jewish denunciations and direct involvement in the pro-Soviet wave of terror, resulted in the killing of approximately 3,500 to 6,500 non-Jewish Poles including members of the Home Army and National Armed Forces. As the victory over Nazi Germany was celebrated in the West, in May 1945, Polish partisans attacked country offices of the PUBP, MO (communist state police), UB and NKVD employing numerous Jewish functionaries (up to 80% officers and 50% militiamen in Lublin alone). In May 1945, public security offices were destroyed in Krasnosielc and Annówka (May 1), Kuryłówka (May 7), Grajewo and Białystok (May 9), Siemiatycze and Wyrzyki (May 11), Ostrołęka and Rembertów (May 18–21), Biała Podlaska (May 21, May 24), Majdan-Topiło (Białowieża Forest, May 28), Kotki (Busko-Zdrój) (May 28). Political prisoners were freed – sometimes up to several hundred or more (see, e.g. the attack on Rembertów) – many of whom were later recaptured and murdered. The human rights law violations and the abuse of power by the Ministry only strengthened the anti-Jewish sentiments in Poland, adding to the 'myth' of "Żydokomuna" among ordinary Poles who in general had anti-Communist and anti-Soviet attitudes. Accusations that Jews are being supportive of the new communist regime, and constituted a threat to Poland, came also from some high officials of the Roman Catholic Church. The provisions of Yalta agreement allowed Stalin to forcibly repatriate Jews along with all Soviet nationals back to USSR "irrespective of their personal wishes". The former Polish citizens, second largest refugee group in the West, did not even began to return until late 1946. Polish–Jewish DPs (25% of their grand total in the beginning of 1947) were declared nonrepatriable – due in part to the US pressure – which forced the British government to open the borders of Palestine. By the spring of 1947 the number of Jews in Poland – in large part arriving from the Soviet Union – declined from 240,000 to 90,000 due to mass migration and the post-Holocaust absence of Jewish life in Poland. "The flight" (Berihah) of Jews was motivated by the raging civil war on Polish lands, in as much as the efforts of strong Polish-Jewish lobby at the Jewish Agency working towards the higher standard of living and special privileges for the immigrants from Poland. Yitzhak Raphael, director of the Immigration Department – who lobbied on behalf of Polish refugees – insisted on their preferential treatment in Israel. Sporadic public anti-Jewish disturbances or riots were enticed by spread of false blood libel accusations against Jews in a dozen Polish towns – Kraków, Kielce, Bytom, Białystok, Bielawa, Częstochowa, Legnica, Otwock, Rzeszów, Sosnowiec, Szczecin, Tarnów Acts of anti-Jewish violence were also recorded in villages and small towns of central Poland, where the overwhelming majority of attacks occurred. According to Szaynok, the perpetrators of the anti-Jewish actions were seldom punished. Shortly after the Kielce pogrom, violence against Jews had ceased. The Kraków pogrom of August 11, 1945, was the first anti-Jewish riot in postwar Poland, resulting in one death. The immediate pretext for it were rumours of alleged attempt by a Jewish woman to kidnap and murder a Polish child, and the alleged discovery of thirteen (or even eighty) corpses of Christian children that supposedly had been found in Kupa Synagogue. During the riot, Jews were attacked in Kazimierz, and other parts of Old Town. Fire was set in Kupa Synagogue. A pogrom (the causes of which are still very controversial), coupled with accusations of ritual murder against Jews, erupted in Kielce on July 4, 1946. The rumour that a Polish boy had been kidnapped by Jews but had managed to escape, and that other Polish children had been ritually murdered by Jews – according to Pynsent – ignited a violent public reaction directed at the Jewish Center. Attacks on Jewish residents of Kielce were provoked by units of the communist militia and the Soviet-controlled Polish Army who confirmed the rumors of the kidnapping. Police and soldiers were also the first to fire shots at Jews – according to Szaynok, thus "giving civilians a pretext to join the fray." Analyzing Kielce pogrom for years, author Krzysztof Kąkolewski (Umarły cmentarz), came to the conclusion that Russian NKVD had planned the pogrom in Kielce ahead of time. As he pointed out, there were two very important occasions to be considered that day. In the Nuremberg tribunal, the Katyn massacre committed against the Polish officers was being investigated, a Russian war crime which the Russians held Germans responsible for. Also, there was a celebration of the United States Day taking place, attended in Warsaw by many foreign officials and journalists. It was a perfect time for the NKWD to paint a picture of Poland as being antisemitic, and to blame the Home Army (AK) for the violence. At the time of the pogrom in Kielce, Kąkolewski was 16 years old and lived just few hundred meters from the crime scene. He claims that it was impossible for people to gather out on the street; the police immediately approached any group of 3-4 persons for identification. Furthermore, Kąkolewski claims that the ordinary people were turned away by an army unit that set up a street blockade. The second part of the same building housed members of the communist party, most of them of Jewish origin, who were not attacked at all. Kąkolewski emphasized also that there were more than 300 members of the secret police and army, present at the scene, of whom many were wearing civilian clothes, not to mention some Russian-speaking soldiers that participated in the pogrom. The fact that the high-ranking officials from NKWD were in the town at the moment would also support this theory. Of the 12 persons who faced trial, 9 were sentenced to death. According to Kąkolewski, none of them was responsible for the crime; they have been picked up from the watching crowd by the secret police. The pogrom in Kielce resulted in 42 people being murdered and about 50 seriously injured, yet the number of victims does not reflect the impact of the atrocities committed. The Kielce pogrom was a turning point for the postwar history of Polish Jews – according to Michael R. Marrus, as the Zionist underground concluded that there was no future for Jews in Europe. Soon after, Gen. Spychalski signed a decree allowing Jews to leave Poland without visas or exit permits; and the Jewish emigration from Poland increased dramatically. Britain demanded from Poland (among others) to halt the Jewish exodus, but their pressure was largely unsuccessful. A statistical compendium of "Jewish deaths by violence for which specific record is extant, by month and province" was compiled by the Yad Vashem Shoah Resource Center's International School for Holocaust Studies. The study used as a starting point a 1973 report by historian Lucjan Dobroszycki, who wrote that he had "analyzed records, reports, cables, protocols and press-cuttings of the period pertaining to anti-Jewish assaults and murders in 115 localities" in which approximately 300 Jewish deaths had been documented. A number of historians, including Antony Polonsky and Jan T. Gross cite the figures originating from Dobroszycki's 1973 work. Dobroszycki wrote that "according to general estimates 1500 Jews lost their lives in Poland from liberation until the summer of 1947", but Jan Gross, the author who cites Dobroszycki, says that only a fraction of these deaths can be attributed to antisemitism and that most were due to general post war disorder, political violence and banditry. David Engel of New York University stated that Dobroszycki "offered no reference for such 'general estimates'" which "have not been confirmed by any other investigator" and "no proof-text for this figure" exists, not even a smaller one of 1000 claimed by Gutman. Engel wrote that "both estimates seem high." Other estimates include those of Anna Cichopek claiming more than 1000 Jews murdered in Poland between 1944 and 1947 while Dr Lidiya Milyakova of Russian Academy of Sciences placed that number at 1500-1800. Similarly, according to a Jewish historian Stefan Grajek around 1000 Jews were murdered in the first half of year 1946. Polish historian Tadeusz Piotrowski cites 1500-2000 victims between the years 1944 and 1947 due to general civil strife that came about with Soviet consolidation of power, constituting 2 to 3 percent of the total number of victims of postwar violence in the country. [Dobroszycki] did not report the results of that analysis except in the most general terms, nor did he indicate the specific sources from which he had compiled his list of cases. 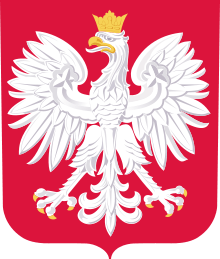 Nevertheless, a separate, systematic examination of the relevant files in the archive of the Polish Ministry of Public Administration, supplemented by reports prepared by the United States embassy in Warsaw and by Jewish sources in Poland, as well as by bulletins published by the Central Committee of Polish Jews and the Jewish Telegraphic Agency, has lent credibility to Dobroszycki's claim: it has turned up more or less detailed descriptions of 130 incidents in 102 locations between September 1944 and September 1946, in which 327 Jews lost their lives. — David Engel, Yad Vashem. Chodakiewicz's estimates for Jewish deaths in Poland after World War II are somewhat higher than Engel's. In "After the Holocaust," Chodakiewicz states: "In sum, probably a minimum of 400 and a maximum of 700 Jews and persons of Jewish origin perished in Poland from July 1944 to January 1947." 1 2 August Grabski. "Central and Eastern European Online Library (CEEOL); page 11, note 7 of current document" (PDF direct download, 1.03 MB). Book review of Stefan Grajek, "Po wojnie i co dalej? Żydzi w Polsce, w latach 1945−1949", translated from Hebrew by Aleksander Klugman, Żydowski Instytut Historyczny, Warsaw 2003 (p. 95) (in Polish). Kwartalnik Historii Żydów, Recenzje (Jewish History Quarterly; Reviews). p. 240. Retrieved July 4, 2012. Żydzi byli zabijani nie tylko przez niektóre organizacje prawicowego podziemia, ale też przez pospolitych bandytów [oraz] jako funkcjonariusze komunistycznego państwa, bez dodatkowego motywu rasistowskiego. Wedle Aliny Całej, liczba Żydów zabitych w latach 1944−1947 przekracza tysiąc osób (Alina Cała, Mniejszość żydowska, [in:] Piotr Madajczyk (red. ), Mniejszości narodowe w Polsce. Państwo i społeczeństwo polskie a mniejszości narodowe w okresach przełomów politycznych (1944−1989), Warszawa 1998, s. 252). 1 2 Joanna B. Michlic. The Holocaust and Its Aftermath as Perceived in Poland: Voices of Polish Intellectuals, 1945-1947. In: David Bankier, ed. The Jews are Coming Back: The Return of the Jews to Their Countries of Origin After WW II. Berghahn Books, 2005. 1 2 David S. Wyman, Charles H. Rosenzveig. The World Reacts to the Holocaust. Johns Hopkins University Press, 1996. 1 2 Tadeusz Piotrowski, Poland's Holocaust, page 130, (ibidem) Published by McFarland, 1998. ↑ Marek Jan Chodakiewicz, After the Holocaust: Polish-Jewish Conflict in the Wake of World War II (Boulder, CO: East European Monographs, distributed by Columbia University Press, 2003), 35-36. ISBN 0-88033-511-4. 1 2 David Engel. "Poland. Liberation, Reconstruction, and Flight (1944-1947)" (PDF). YIVO. Retrieved May 23, 2011. ↑ Philipp Ther, Ana Siljak (2001). Redrawing nations: ethnic cleansing in East-Central Europe, 1944-1948. Rowman & Littlefield. p. 138. ISBN 0-7425-1094-8. Retrieved May 23, 2011. ↑ Archiwum Akt Nowych, GUKPPi W3, t. 1/7, k. 6, "Polska drugą ojczyzną," Gazeta Ludowa, 1 October 1946. ↑ Richard C. Lukas, Out of the Inferno: Poles Remember the Holocaust University Press of Kentucky 1989 - 201 pages. Page 13; also in Richard C. Lukas, The Forgotten Holocaust: The Poles Under German Occupation, 1939-1944, University Press of Kentucky 1986 - 300 pages. ↑ The Jerusalem Post, January 23, 2008 editorial. Archived June 10, 2015, at the Wayback Machine. 1 2 3 Natalia Aleksiun. Jewish Responses to Antisemitism in Poland, 1944-1947. In: Joshua D. Zimmerman, ed. Contested Memories: Poles and Jews During the Holocaust and Its Aftermath. Rutgers University Press, 2003. ↑ Jan T. Gross. After Auschwitz. The reality and Meaning of Postwar antisemitism in Poland. In: Jonathan Frankel, ed. Studies in Contemporary Jewry. Oxford University Press US, 2005. 1 2 Daniel Blatamn. "The Encounter between Jews and Poles in Lublin District after Liberation, 1944-1945." East European Politics & Societies. 2006, Vol. 20, No. 4, 598-621. Pages 601-602. ↑ Manus I. Midlarsky. The Killing Trap: Genocide in the Twentieth Century. Cambridge University Press, 2005. ↑ "Wilson Center, "New Evidence on Poland in the Early Cold War" By Andrzej Werblan" (PDF). ↑ Bozena Szaynok. "The Role of Antisemitism in Postwar Polish-Jewish Relations." Page 270. In: Robert Blobaum, ed. Antisemitism and Its Opponents in Modern Poland. Cornell University Press, 2005. 1 2 Krzysztof Szwagrzyk Żydzi w kierownictwie UB. Stereotyp czy rzeczywistość? 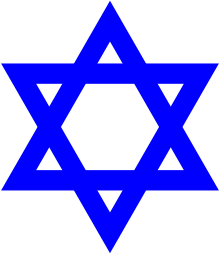 (Jews in the authorities of the Polish Secret Security. Stereotype or Reality? ), Bulletin of the Institute of National Remembrance (11/2005), p. 37-42:online article (PDF 1.10 MB), entire issue. ↑ Chodakiewicz: medialny "Strach" i niemedialna prawda. Press interview with Marek Jan Chodakiewicz (After the Holocaust) at IPN, gazeta.pl, Warsaw, 11 January 2008. See also, rough translation by Google: Chodakiewicz: Media "fear" and truth outside the media. Google translate. ↑ Marek Jan Chodakiewicz, After the Holocaust: Polish-Jewish Conflict in the Wake of World War II (Boulder, CO: East European Monographs, distributed by Columbia University Press, 2003), 213. ISBN 0-88033-511-4. ↑ "Anti-Communist Armed Underground in Poland After 1944 - An Introduction." The Doomed Soldiers. Polish Underground Soldiers 1944–1963 - The Untold Story. See also: "National Armed Forces. Polish Underground Soldiers 1944–1963." DoomedSoldiers.com. ↑ Aleksander Hertz (1988). The Jews in Polish Culture. Northwestern University Press. p. 1. ↑ Dariusz Libionka, Antisemitism, Anti-Judaism, and the Polish Catholic Clergy during the Second World War, 1939-1945. In: Robert Blobaum, ed. Antisemitism and Its Opponents in Modern Poland. Cornell University Press, 2005. ↑ Arieh J. Kochavi, Post-Holocaust politics... Ibidem. Page 31. ↑ Gross, Jan T. (2005). "After Auschwitz: The Reality and Meaning of Postwar Antisemitism in Poland". In Jonathan Frankel. Studies in Contemporary Jewry. Oxford University Press. ISBN 0-19-518224-3. ↑ Aleksiun, Natalia (2003). "Jewish Responses to Antisemitism in Poland 1944-1947". In Joshua D. Zimmerman. Contested Memories: Poles and Jews During the Holocaust and Its Aftermath. Rutgers University Press. p. 248. 1 2 Tadeusz Piotrowski (sociologist) (1997). "Postwar years". Poland's Holocaust. McFarland & Company. p. 136. ISBN 0-7864-0371-3. ↑ István Deák; Jan Tomasz Gross; Tony Judt (2000). The politics of retribution in Europe : World War II and its aftermath. Princeton, N.J: Princeton University Press. p. 111. ISBN 0-691-00953-8. OCLC 43840165. ↑ David Engel, "Patterns Of Anti-Jewish Violence In Poland, 1944-1946", p. 21 (second paragraph) Yad Vashem Studies Vol. XXVI. Yad Vashem, Jerusalem. (PDF 198 KB file). 1 2 (Russian) . Л.Б. Милякова Политика польских коммунистов в еврейском вопросе (1944-1947 гг.) (The politics of the Polish communists on the Jewish question in 1944-1947) "Archived copy". Archived from the original on 2008-01-09. Retrieved 2008-01-29. ↑ Cichopek, Anna (2003). "The Cracow pogrom of August 1945: A Narrative Reconstruction". In Joshua D. Zimmerman. Contested Memories: Poles and Jews During the Holocaust and Its Aftermath. Rutgers University Press. p. 224. 1 2 Robert B. Pynsent, ed. (2000). The Phoney Peace: Power and Culture in Central Europe, 1945-49. University of London School of Slavonic and East European Studies. ISBN 0-903425-01-7. ↑ István Deák; Jan Tomasz Gross; Tony Judt (2000). The politics of retribution in Europe : World War II and its aftermath. Princeton, N.J: Princeton University Press. pp. 106–107. ISBN 0-691-00953-8. OCLC 43840165. ↑ See, e.g., Antony Polanski. My Brother's Keeper? Routledge, 1989; Meyer Weinberg. Because They Were Jews: A History of Antisemitism. Greenwood Press, 1986; Jan Tomasz Gross. Revolution from Abroad: The Soviet Conquest of Poland's Western Ukraine and Western Belorussia. Princeton University Press, 2002; Natalia Aleksiun. Jewish Responses to Antisemitism in Poland, 1944-1947. In: Joshua D. Zimmerman, ed. Contested Memories: Poles and Jews During the Holocaust and Its Aftermath. Rutgers University Press, 2003. ↑ Yisrael Gutman. The Jews in Poland after World War II (Hebrew), (Jerusalem: Merkaz Zalman Shazar, 1985). ↑ Cichopek, The Cracow pogrom of August 1945, p. 221. ↑ Tadeusz Piotrowski (1998). Poland's holocaust : ethnic strife, collaboration with occupying forces and genocide in the Second Republic, 1918-1947. McFarland and Company. p. 130. ISBN 0-7864-0371-3. OCLC 37195289. ↑ Marek Jan Chodakiewicz, After the Holocaust: Polish-Jewish Conflict in the Wake of World War II (Boulder, CO: East European Monographs, distributed by Columbia University Press, 2003), 212-213. ISBN 0-88033-511-4.